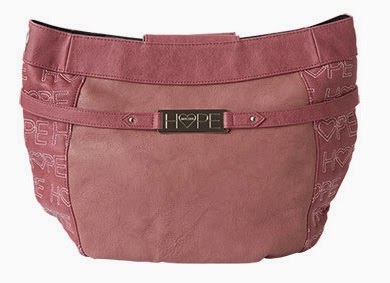 A custom HOPE quilted pattern makes this Hope design for Demi MICHE bags absolutely irresistible. White stitching on faux leather in two shades of sweet dusty rose is sure to inspire wherever you go. And check out the exclusive Hope logo plate and rivet detail! Silver hardware; large open back pocket; oval-bottom design. 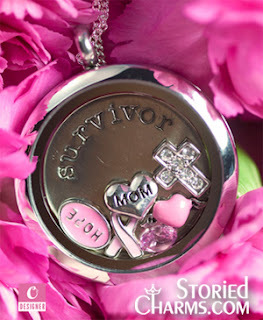 A portion of each Hope design purchase goes to support cancer research.